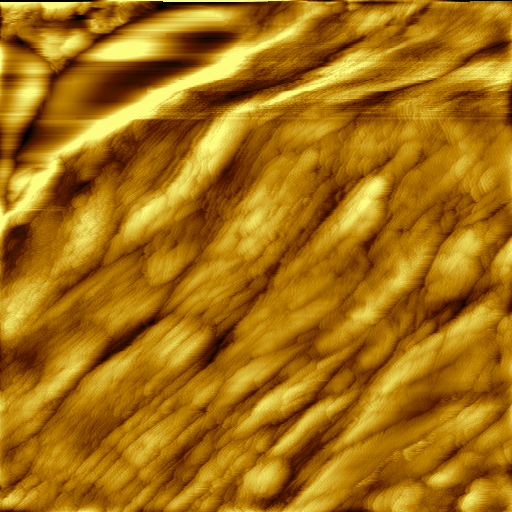 ~1 um scan of a gold surface. If you look closely you can see the atomic layers. Constant current, 50 mV, 1 nA.